Kevin McCurley started as a herp enthusiast in his early childhood, later maintaining a collection of animals that eventually paid for themselves. New England Reptiles Distrubution (NERD) was born. NERD grew in stages, first expanding to a 5,000-square-foot breeding center, and later into their current 14,000-square-foot shop which is home to both their breeding facility and retail pet store, located in the heart of New England. While ball & reticulated python morphs remain a primary focus, the NERD collection also boasts a fine selection of monitors, green tree pythons, boa constrictors, rock iguanas, and "Wally" - the friendly resident 8' alligator who stands guard in the basement. NERD currently maintain a full-time staff of animal care specialists assigned to specific areas in the collection which best suit their herpetocultural skills, thus neither keepers nor resources are spread too thin when it comes to ensuring that each animal receives all the care it deserves, from the normal ball pythons in the baby rooms to the calico Retics and albino water monitors in their walk-in enclosures. The WOB community got the their chance ! And that was the chance to ask 'The Evil Morph God' (AKA. Kevin McCurley) a bunch of questions. It all happened on Facebook and they were mailed to Kevin. Now we got the answers back from Kevin, and here they are. 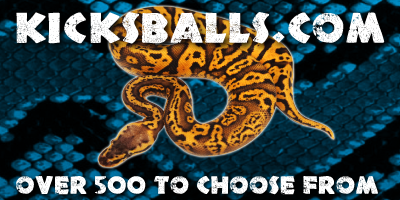 "I love the World of Ball Pythons!!! SATAN"
Well, generally I try to look at the aspects of the morph that I like and want to expand on. So if I want side pattern flames but I want let's say Orange I try to use the flames of a Yellow Belly and maybe the color from an Enchi and the reduced clean sides of the Enchi. It's basically as if you have a color palette and a pattern palette to choose from. I am drawn to orange, yellow and minimal pattern on many combos while others I am more interested in striping and color is secondary. Imagine what you hope for and then try to reverse engineer your "dream"!. Ahhhhhh, good one. I bought Champagnes for big bucks before I realized that other people had them too but were getting them for less. So, right off I paid like double on 3 of them! I overpaid, then I found out that the Champagne eats pattern and over powers many other morphs as a combo..... so this further gave me a bad taste. On the good side, I love Chmpagnes as they are and when matched with the right genes they are GREAT! Well, the simple fact that you have boycotted the use of Soap or the idea of showering has put a damper on my personal life when I am in the same room as you. I often cringe when you are within 25' of me since other people may mistake those awful smells as that of my animals. Snakes have enough problems and for people to think that it may be smells made by my thousands of animals I worry. I have NOT done it because I think I know better and i think it is a FAIL. The Champagne does not combo well with several morphs such as HG Woma, Woma, Spider... I think Sable...... I have a bad feeling about it and I am going to avoid it. I have made enough gimpy HG Woma x HG Woma to know better!!! Ha, forever..... actually I think it was last year 2011. And I think I did it only once... although I may have done it more if I start thinking about it but this year will hopefully see more of that and then some. Now comes the issue of what exactly is in this.... I already have that problem and as I struggle to stuff as many genes into a snake I am losing control of the ingredients. Lemon Pastels are often a bit brighter with more yellow and less Orange. 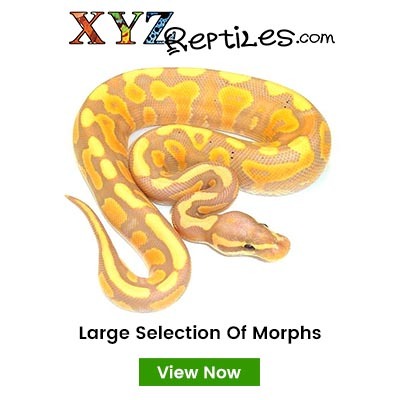 They often have neck striping and have proven to also be a pattern mutation. They have less blushing than a normal Pastel and often do not make the greatest faded Super pastel. The super looks more like a real nice pastel with a lighter head and the difference is not as drastic when comparing a normal pastel to a Super Pastel. Since they don't have much orange they don't get the burnt out "brown" that some pastels get as they age. I don't understand the question but I am not that bright! Sure, and I bet I'm wrong! Bumble Bee Clown Enchi. Well, if we are talking about stuff that I do not have...... Highway, Black head...... Stuff that I do have that I hope to expand on. Lucifer, Cryptic, Leopard and GHI. SPIDER... although Pastel Jungle was rather amazing at the time too! And the Bumble Bee combo was WOW!!!!! Well, I LOVE male Deserts because you can make amazing things with them. Females have issues, I am not brave enough to work through that one and have way too many projects I must conquer first. They are worth fiddling with but I can not see expanding on that morph until someone else holds my hand and tells me that I am WRONG! Deserts make some incredible stuff but of course, they have to have a problem too. I have noted the amazing results of the Desert and think I know how to make animals of the same caliber but with a different gene...... I must reverse engineer the results and swap out the gene with another I have had tucked away. Rarely, I love the show and the excitement... What I hate is leaving my place and returning to "issues"....... I also hate the process of sending animals over and trying to deal with all of the red tape.... I do get excited to meet the people and listen to their many nice comments about my animals .... although I may not always understand what they are saying!!!!! HEAVY, HEAVY accents! I do want to do HAMM front and center and bring cool animals, at some point it will happen. 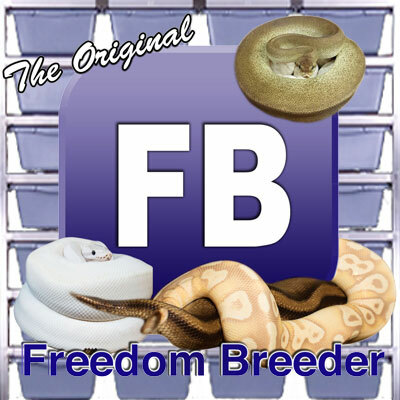 Pastel, Spider, Enchi, Pinstripe, Clown, HG Woma, Yellow Belly, Phantom, Lesser and Leopard. I think they are essentially the same theme but different bloodlines/origin. I also think I need to know more about them to offer an opinion that actually may matter!!!! Hmmmmm...well, basically you are asking me to name all of my plans!! :) All of those are involved. HG Woma...so much to do, just revealing what can be done there! I want to see how it crosses with the Leopard gene! Fader.... Super Fader and add it to other genes that have saddle blushing. Super Pastel Calico Yellow Belly stuff with some Enchi sounds GREAT!!! Coral Glow.... . Soul Sucker Coral Glow, SUper Stripe, CG Enchi stuff, CG Axanthic combos may be interesting and of course Coral Glow PIED! Lesser...hmmmmm maybe eat some shoes...... Do all Lessers have the ability to make Soul Suckers??? Maybe so, time to eat some shoes!!! Lesser.... More Soul Sucker stuff..... anything SOUL SUCKER is great in my book....so expand on that avenue. Phantom.... Super Phantom Coral Glow!!!! Super Phantom ANYTHING is a must....it's a crazy gene that does not do what I would have expected it to do!!! Enchi... Everything is better with Enchi.... I plan to continue making Super Enchi combos and using this gene to reduce pattern and turn things Yellow or Orange! I would like to see Enchi Clown Stuff!! It makes a smoking CG combo too! Ahhhh, the Lucifer. I don't know what it is exactly. It is in my eyes ....... like a better looking fire... What it does do is make things very light, cleans them up much like a Desert Ghost does. I am just starting to work on it so it SHOULD reveal its potential in the next few years. Since my female is wild caught she has been difficult to produce with.....I also thought it was a wild line of Fire..... It also made something very weird for me so I need to unravel "that"! To date I have never sold one so its kind of new. Nope, I would be INSANE! I have severe attention deficit disorder and MUST have many things to keep my going! The reptiles work well, always keep me guessing and leave me either happy or empty..... they generally keep me motivated to keep moving. The band is a GREAT outlet for all of my pent up frustration from trying to breed reptiles as my business!!! They basically go hand in hand... METAL AND SNAKES!!!!! The NEVER Complete Ball Python.